The latest episode of Björk’s album of astounding song apps, Biophilia, is now live, ready to impress us all over again. The “Virus” song app, available for purchase within the main Biophilia app, is “part musical instrument, part sonic artwork, and part scientifically-informed educational animation.” To access it, you’ll need $2, version 1.1 of Biophilia, and 287MB of free space on the iOS device of your choice. It looks best on the iPad for obvious reasons. ‘Virus’ is an original song and new feature of the Biophilia App that explores the relationship between biological virus as part musical instrument, part sonic artwork, and part scientifically informed educational animation. It may be played in song-mode to watch the life cycle of a virus or played in instrument-mode to create music. In ‘Virus’ infectious agents attack a central cell. Biological and musical processes unite as with each stage of the virus’s life cycle a new song section is heard. The app feature starts with a large cell surrounded by others floating on screen. Small viruses appear, latch on to the cell, and inject their DNA. The strands amass and penetrate the large cell’s nucleus, then the viruses replicate. The song is complete once the cell is destroyed. 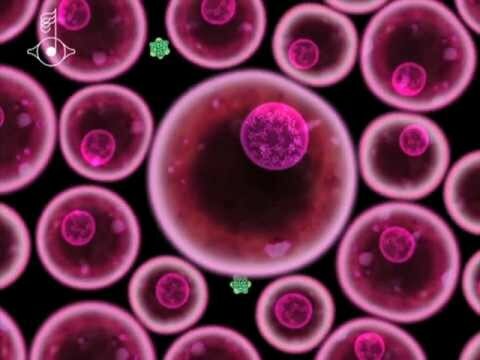 The user may watch the animation of the song to see and hear the viruses multiply or touch the viruses, flick the nuclei in the cells, play sounds from the song and create original music. We’ve written extensively on Björk’s Biophilia, which has still only just begun. The next-level chanteuse and her team of app developers plan to release ten song apps within Biophilia, of which “Virus” is only the third. This is what we are talking about. If you’d rather hear this song than run it as an app, “Virus” is also available as an audio-only single in the iTunes store for $1.29. The whole album, which will be released on September 27, is available for pre-order in a variety of physical formats. Note: This is the first time anyone has attempted to sell song apps within an album app within the iTunes store, so some kinks are to be expected. For example, I can’t buy the individual song apps on my iPhone (screenshot to the right). So it sounds like you won’t have this issue. Even if you do, you won’t lose any money, and the song apps seem to install just fine for everyone else, as they do on my iPad.